How to Pass the CSW: How Well do You Know France? I love maps, because they make me dream of travel! Someone once said “maps are the foreplay to travel.” I don’t know where I heard that, so I can’t credit the source, but it’s a great line and I wish I had said it first! Being a wine person, maps also make me dream of wine – or have nightmares about the study of wine. In an attempt to help those of you who are studying – and hopefully, really learning – about wine for the CSW Exam or other wine certification, I’ve put together a set of map exercises. I’ll give you a blank map and you get to fill in the rest! If you dare, click here to download the So You Think You Know France Exercise. 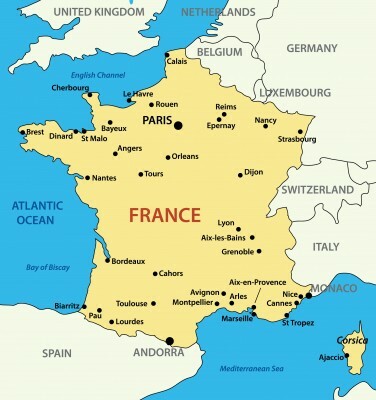 Enjoy the study session, and let’s see just how much we know – or have yet to learn – about the geography of France! Bubbly Disclaimer: This is my own personal advice and should not be considered as “official” advice from any school or organization. I hope the materials here on The Bubbly Prof help you out with your wine studies, and that you are successful in your certification endeavors. Cheers! The Soundbyte: It is widely accepted that Sangiovese was well-known to the winemakers of Ancient Rome, and it is suspected that the grape was known in Tuscany as far back as the time of the Etruscans. The grape is still is widely grown throughout Central Italy, from Romagna to Lazio, and throughout Italy down to Campania and Sicily. Outside of Italy Sangiovese is mainly known as the main grape of Chianti, in all its forms, but Italian wine lovers know that it also stars in Carmignano, Vino Nobile di Montepulciano, Morellino di Scansano, Brunello di Montalcino, Rosso di Montalcino, and Sangiovese di Romagna, among many others. 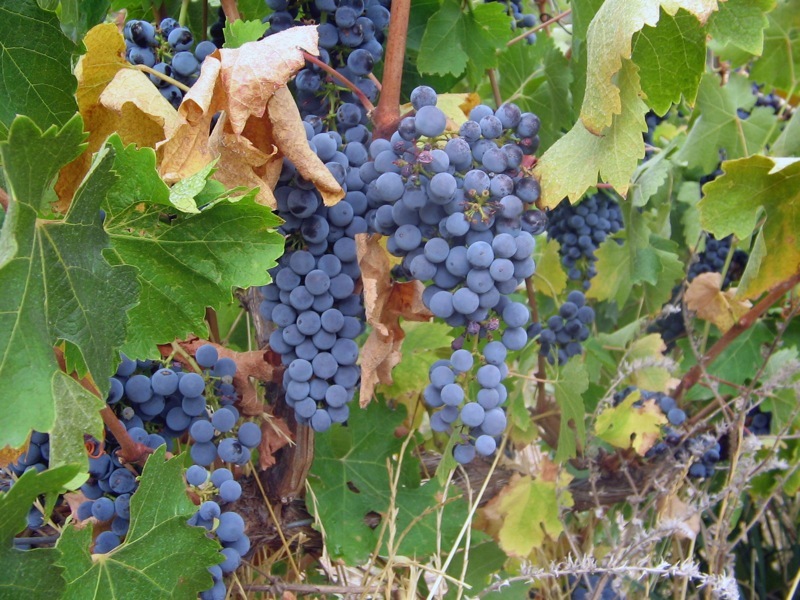 While often used in a blend, Sangiovese is increasingly seen as a stand-along varietal. In addition, it is now being used in blends with “international varieties” such as Cabernet Sauvignon, Merlot and Syrah. You may know these wines as “Super Tuscans”, whose style is now being imitated in other parts of the world. In a country growing hundreds (if not thousands) of different grapes, Sangiovese reigns as the number one grape varietal in Italy, where it accounts for 10% of the entire wine grape crop. The flavor profile is complex, with earthy aromas often overtaking the aromas of fruit, spice, flowers, and oak. 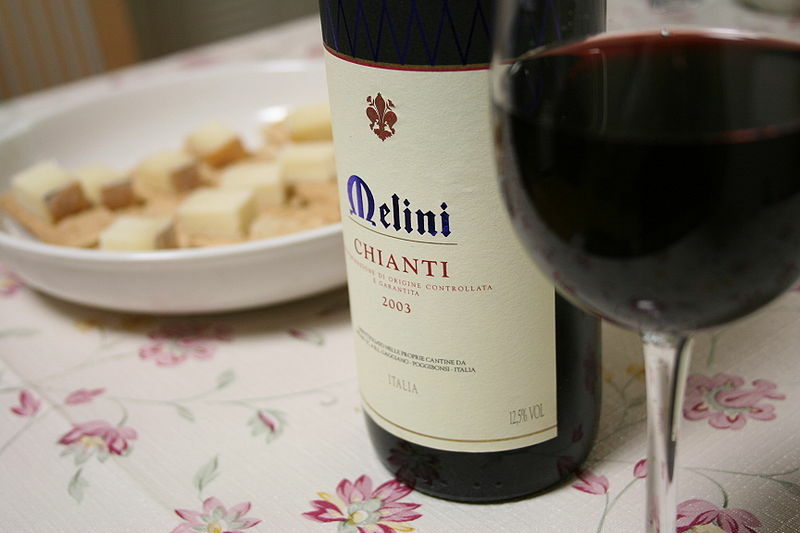 Sangiovese has a moderate to high level of natural acidity. 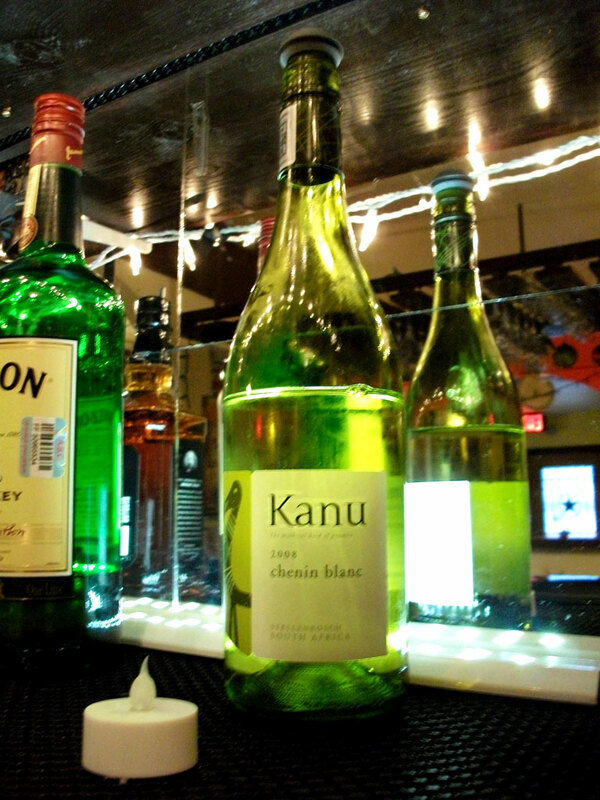 Medium to full-bodied, with descriptors ranging from supple and elegant to assertive and robust. The finish tends towards bitterness. I often describe it as “bitter cherry”. Medium tannin due to the grape’s natural “thin skin.” This is often assuaged with oak contact. This “thin skin” and natural low-level of anthocyanins can make Sangiovese-based wines seem light in color. It tends to show an orange meniscus, even in younger wines. Sangiovese is often used to produce a “lighter” style red wine, and this approachability has made it a consumer favorite. Sangiovese makes a wonderful, spicy rosé, and stars in many an Italian rosato. Italy, its native home, where it is the most widely-grown red grape variety. 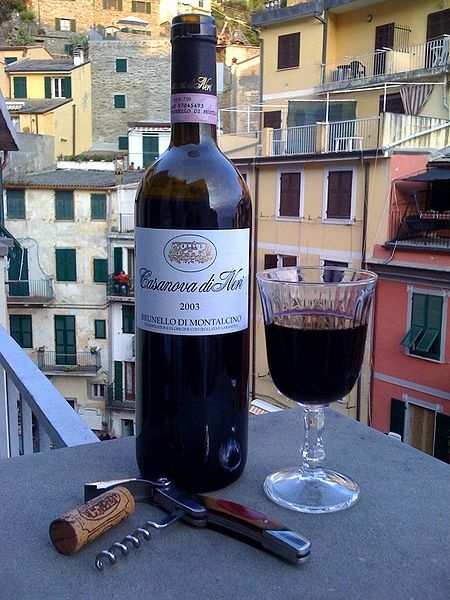 It especially thrives in Tuscany, where it forms the base of the wines of Chianti and Vino Nobile de Montepulciano, and Brunello di Montalcino as well as many other wines. It is sometimes part of the blend—often alongside Cabernet Sauvignon—in the wines known as the Super Tuscans. Beyond Tuscany, it is found throughout Italy and is a main grape in Umbria, Marche, Lombardy, Emilia-Romagna, and as far south as Campania and Sicily. Italian immigrants brought Sangiovese to California. The earliest recorded Sangiovese vineyard in California is the Seghesio Family’s Chianti Station Vineyard, planted near Geyserville in 1910. Sangiovese never really took off in California until the Super Tuscan movement of the 1980’s. Since then, Sangiovese has been gaining popularity in the United States and is now grown in Napa, Sonoma, and The Sierra Foothills. Flat Creek Estate in Marble Falls, Texas created a Sangiovese-Cabernet Sauvignon blend they call a “Super Texan” in 2005. The wine immediately commanded world wine attention when it won the coveted Double Gold Medal at the San Francisco International Wine Competition that year. The “Super Texan” style of wine seems a natural fit for Texas terrior and has now been duplicated by adventurous winemakers all over Texas. Oregon, Washington State, Virginia, and The Niagara Peninsula now have Sangiovese plantings, as do Australia, Argentina, Romania, Corsica, South Africa, and Chile. The Bubbly Professor is “Miss Jane” Nickles of Austin, Texas…. The Soundbyte: Chenin Blanc is native to the Loire Valley Region of France and is widely grown throughout the Loire and the new world. 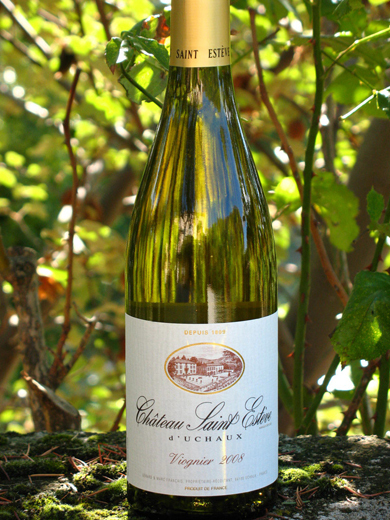 Chenin Blanc produces a fruity, floral, easy to drink white wine with clean, fresh flavors and a good zing of acidity. However, this is no simple little white wine grape; Chenin Blanc can be made into serious, mineral-driven dry wines, methode traditionnelle sparkling wines, and decadent botrytis-affected dessert wines in addition to the well-known, and much beloved “porch sipper” style. Dry Chenin Blanc wines are generally light bodied and fruity, with floral and nutty overtones. Chenin Blanc has a good deal of acidity, but balanced with the fruity, or sometimes sweet, tastes and flavors typical of the grape it generally comes across as a smooth, easy to drink and easy to love wine. Dry Chenin Blanc tends to be low-alcohol and refreshing to drink. 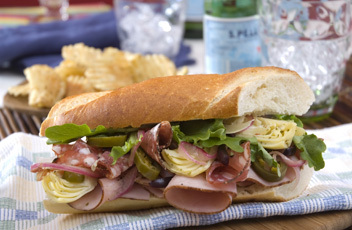 Chenin Blanc’s delicate character makes it a good match for delicately flavored foods. 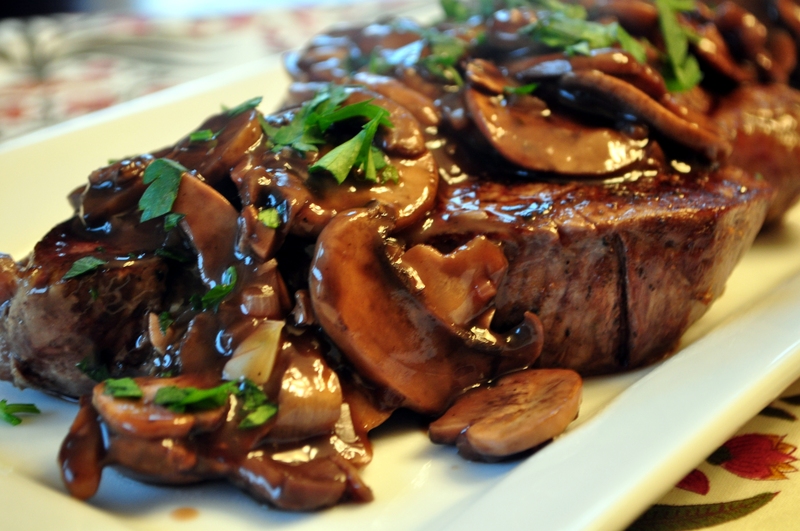 It can also be used as a wine match for interesting, spicy, or blended “fusion-style” flavors; Its delicacy means there are few flavors that will “clash” with such foods. Chenin Blanc is also made into Sparkling wines in the Loire Valley and other regions. Due to its racy acidity, Chenin Blanc also stars as a dessert wine often produced in a late harvest or botrytis-affected style. Chenin Blanc also has a serious side, and the steely, nervy, mineral-driven wines of Savenniéres have been called “the most cerebral wines in the world”. Fruity: Apricot, Melon, Green Apple, Green Plum, Pear, Quince, Lemon, Lime, Grapefruit, Greengage (a light green plum popular in France and England). The Loire Valley in France, notably the regions of Vouvray, Coteaux du Layon, Savevnnières, and Saumur. The Loire Valley is thought to be the native home of Chenin Blanc, and it is used to make just about every type of white wine possible. 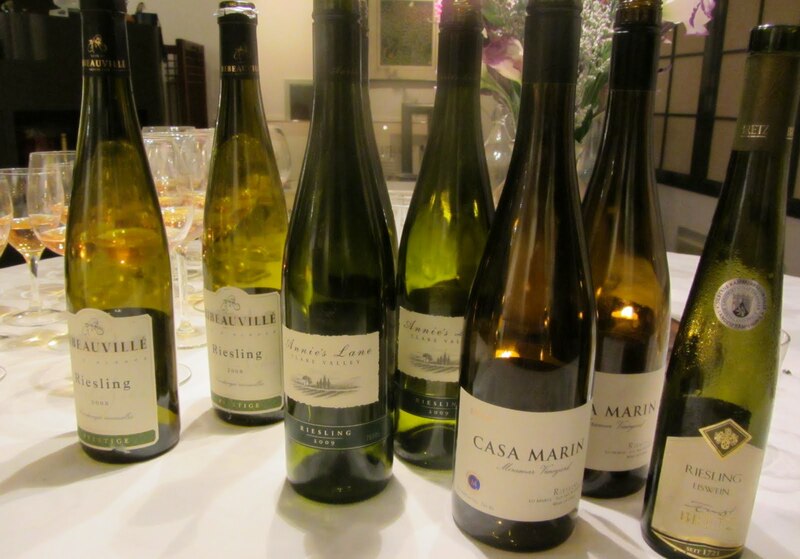 The region of Savennières produces bone-dry, steely versions, while Anjou, Montlouis, and Vouvray are made in a variety of styles from dry to sweet. Saumur and other Loire regions produce sparkling Chenin Blanc from dry to sweet, and world-class dessert wines are the specialty of Bonnezeaux and Quarts-de-Chaume. Chenin Blanc is the most widely planted white wine grape in South Africa, where for centuries it has gone by the name of “Steen.” The grape may have been one of the original grapes planted by Jan van Riebeeck in 1655, or may have come to South Africa with the French Huguenots who arrived a bit later. Australia, where it is often blended with Semillon, and New Zealand, where it is grown in small amounts on the North Island. 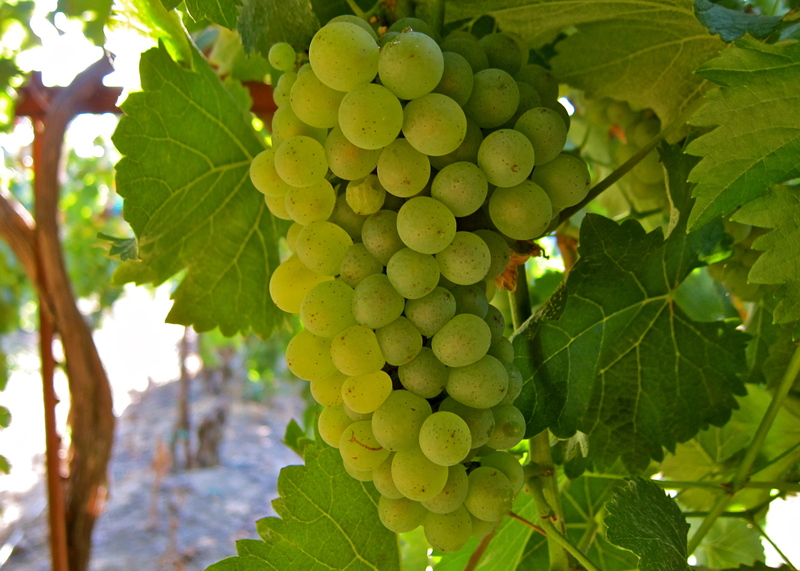 Many other wine producing regions and countries, including the emerging regions of Israel, Brazil, Urugauy, and Mexico, have plantings of Chenin Blanc. Click here for a review of my Favorite Chenin Blanc of all Time! The Soundbyte: The Gamay grape—officially known as Gamay Noir à Jus Blanc—can make uncomplicated, easily drinkable, light bodied, light-colored red wines. It is also capable of producing richly hued, rather tannic, complex and age-worthy wines. It’s a vinifera chameleon. One thing that we can be assured of, though, is that the grape is hearty in the vineyard. The grape is so prolific and high-yield that long ago it was feared that the grapes would overwhelm the vineyards of Burgundy, and too much Gamay might run the risk of damaging the reputation of the fine Pinot Noir the Burgundy region was (and is) known for. In order to avoid this messy complication, Philip the Bold, Duke of Burgundy in the early 1400’s banished the grape from the Kingdom and declared it to be an “evil, disloyal plant”. Grape growers who loved the high-yield, easy-drinking wine were nonplussed and set up their beloved Gamay vines just a bit to the south of the vineyards of Burgundy, where the grape still reigns today. Light to medium bodied, although it can surprise you at times with a sturdy wine. Tannins are all over the place; some versions are light to medium, some versions have sturdy tannins. The grapes themselves are considered high tannin, although wine-making traditions often ameliorate their impact. 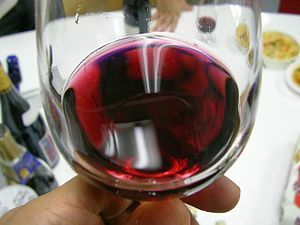 Some versions can have a light, cranberry juice-like clear red colors; others have a deeper red hue that looks just like Pinot Noir. Fruit-forward aromas and flavors of ripe berries, red fruits of all kinds, even apples and pears. Many versions are “picnic wines” – uncomplicated and easy to drink. The fact that Gamay can be served slightly chilled for a refreshing thirst quencher adds to the picnic appeal. Beaujolais, by far the best-known Gamay-based wine around, is often (but by no means always) made via the fermentation technique known as carbonic maceration. 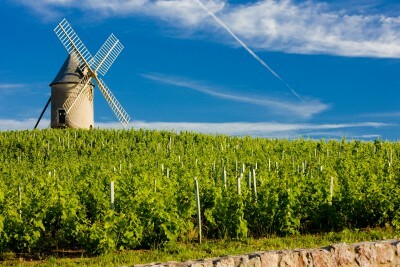 Because of this unique process, Beaujolais often displays aromas of banana, bubble gum, and “red hard candy.” Whether these aromas are derived from the grape or from the fermentation process is up for debate. Many Gamay-based wines are highly drinkable when young, although Gamay is capable of producing age-worth wines. The Beaujolais Crus are all good examples of age worthy Gamay. We can’t forget the very popular “nouveau” style wine made from Gamay that is intended to be consumed just a few months after harvest. Look for Beaujolais Nouveau to be released every year on the Third Thursday of November, along with a good deal of publicity and many excellent parties. The Beaujolais Region of France, just south of (and somewhat overlapping, and technically part of) the Burgundy Region. The wines of the region include Beaujolais, Beaujolais-Villages, and highest quality wines known as “Beaujolais Cru” and labeled with their village names. 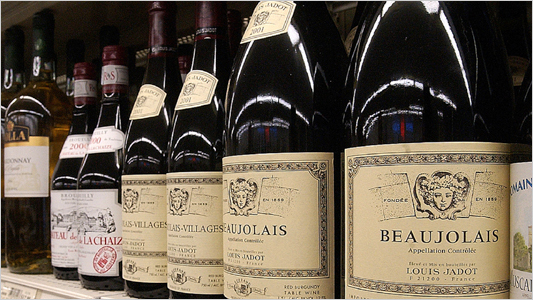 The most well-known, Beaujolais Nouveau, accounts for just over 50% of the entire output of Beaujolais. It’s kind of a well-known secret, but Gamay is still permitted in certain parts of Burgundy such as the Mâconnais, and just may be surreptitiously tucked in amongst the Pinot vines even in some of Burgundy’s higher ranking vineyards. France’s Loire Valley, particularly Anjou, Touraine, and Cheverny, where the grape may turn up in red wines, rosé, or sparkling wines. The Niagara Peninsula and other parts of Ontario (Canada). California grows some Gamay, but there was confusion in the past about a wine called “Napa Gamay” or “Gamay Beaujolais”. It is now known that these wines were made from a grape known as Valdiguié, which has its own history and style. However, you can still find some real Gamay being grown in California these days. Oregon, living up to its nickname of “Burgundy West,” is trying its hand with Gamay. Australia and New Zealand have a bit of Gamay. Seafood of all kinds – try Mussels, Lobster Rolls, Crab Salads, Snapper Veracruz, or fried shrimp. This might work best with the lighter versions, but if you are looking for a red wine with seafood match, Gamay will be among your best choices. Chicken (hot or cold), Duck, Poultry of any kind. Try duck with cherries. Salty Foods – maybe chips and dips, pretzels and hummus? For more on the history of Gamay, see this post on “The Evil and Disloyal Plant”. The Soundbyte: Viognier seemed literally an endangered variety only a few years ago, but is now recovering worldwide in terms of both both popularity and acreage. Viognier makes unique white wines that will bowl you over with a its outrageous floral aromas and peach-pear-apricot fruit flavors. While Viognier will beguile you with its gorgeous aroma and yellow-gold hue; make no mistake, this wine can pack a punch in terms of body, flavor, and alcohol…all in a great way, of course! Intriguing Floral Bouquet combined with apricot, peach, and pear aromas. Tropical fruit flavors and a creamy mouthfeel. Even without oak aging, Viognier can be as full-bodied as an oaky Chardonnay. Rich and intense in flavor, sometimes high in alcohol, although the overall richness makes the alcohol not very noticeable. Proceed with caution! Viognier is quite low in acid. This makes for a smooth, velvety palate…but it might be best not to pair this wine with high acid foods. I have had a few late-harvest dessert wines made from Viognier, and they are delicious! The Northern Rhône appellations of Condrieu and Chateau-Grillet produce amazing white wines from 100% Viognier. In the Southern Rhône and throughout the south of France, Viognier is often used to add fragrance and to soften and lighten the red G-S-M or Syrah-based wines of the Rhône. Even if you wouldn’t know it from looking at the label, a red Rhône or G-S-M blend can have up to 10% ov Viognier in the mix. California, particularly the warmer regions such as Lodi and the Sierra Foothills. 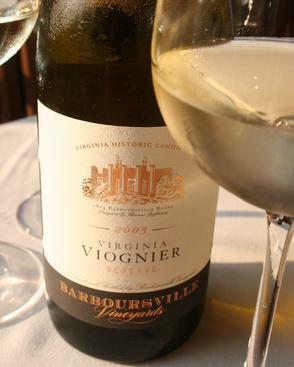 The State of Virginia is beginning to make some excellent Viognier, and Texas makes some nice versions as well! Australia makes some excellent versions. Plantings in France’s Languedoc, Roussillon, and Provence regions are expanding. Click here for a recipe for Chicken with Forty Cloves of Garlic – a “perfect pairing partner” recipe for Viognier. The Soundbyte: Much-maligned and misunderstood due to those overly sweet, bright blue and pink bottles resting on the bottom shelf at the supermarket, Riesling is actually considered to be among the leading white wine grapes in the world. Riesling produces some of the world’s finest, most complex, and long-lasting white wines. It is considered to be native to Germany, where its cultivation can be traced back thousands of years. The Riesling grape is renowned for its ability to walk a tight rope of a balancing act in its combination of sugar and acid, resulting in wines that somehow manage to be both delicate and complex. As for the pronunciation of the name, you have to smile in order to sy it correctly – go look in the mirror! Riesling has the amazing ability to be both very fruity and very acidic at the same time. Riesling’s acidic backbone and complex, balanced flavors give it the ability to age. The world’s great Rieslings are grown in cool growing regions and made into dry white wines renowned for their bracing acidity; terms like steely, nervy, racy, tongue-splitting and precise come to mind as good ways to describe the potential acidity of a Riesling in all its glory. Despite my devotion to the dry Rieslings of the world, I must admit that many of the Rieslings on the shelf have a degree of residual sugar in them which may or may not be detectable due to the balancing acidity in the wine. The Germans have developed the label term “Classic” to indicate a wine with some residual sugar that is still perceived as dry to most palates. Genius. The German term “Halbtrocken” means “half-dry” and pertains to wines with between 0.9% and 1.8% residual sugar. Most American palates would describe these as “just slightly sweet”. The term “Kabinett” indicates a low level of ripeness at harvest; the terms Auslese and Spätlese refer to grapes with a higher level of sugar at harvest; these wines may be dry or may have a small degree of residual sugar. As for the dessert wines made from Riesling, they have their place among the best dessert wines in the world. The new world makes “Late Harvest” Rieslings “Botrytis-affected Riesling” and “Riesling Ice Wine”. The old world calls them Beerenauslese, Trockenbeerenauslese, and Eiswein. Late Harvest and Ice Wine Rieslings can take these aromas to the extreme…I’ve found that the lime aromas transform into a quick scent of pickle juice or green olives (sounds weird, but “in a good way”) and these wines can remind me of “dried peaches rubbed on a wet stone”. Just try it for yourself! 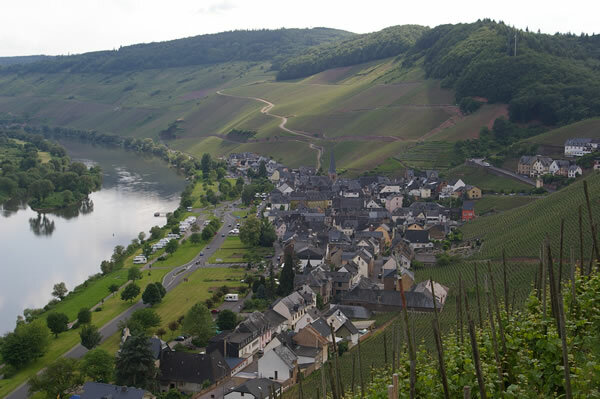 Riesling is native to Germany and grown throughout Germany’s wine regions. The Alsace Region of France. Sushi…it’s the best match in town so I had to list it first. It’s crave-worthy. 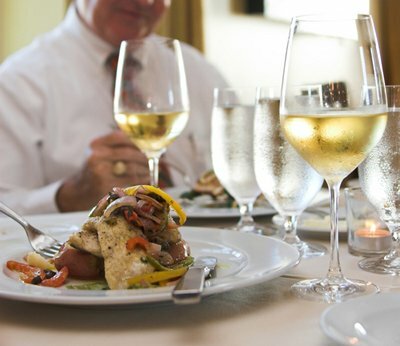 Smoked Seafood – Smoked Salmon and Riesling would be my “last meal” request. 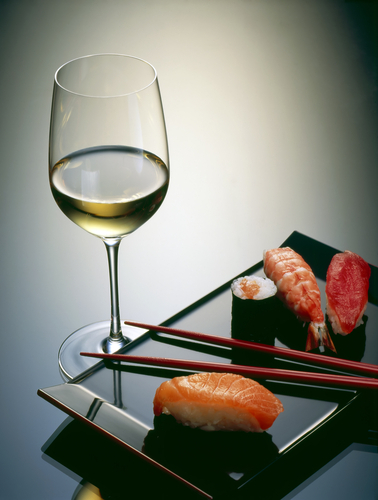 Asian Flavors, Indian Flavors – Riesling loves the the salt, the spice, and even the heat. 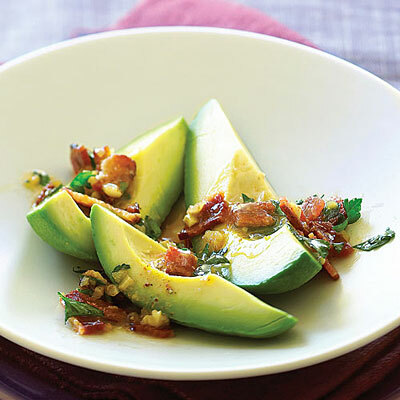 Jalapeno Peppers, Wasabi – Bubbly Prof says any type of “green heat” is fabulous with Riesling. Wine class choreography…it has an exciting ring to it, doesn’t it? I hope so, because I hardly expected you to click on an article titled “Instructional Design.” However, they really mean the same thing; and it is something that is really lacking in wine education today. So just what is instructional design? 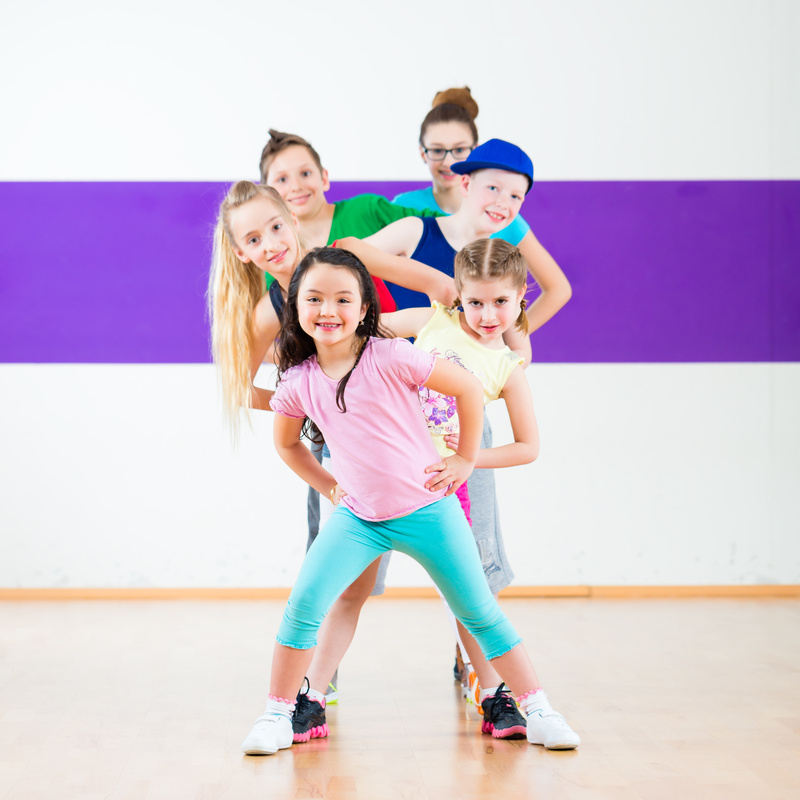 Think of it this way: You have a great dancer who knows lots of steps and just can’t wait to show them off…and you have some great music. What else do you need to do before you can put on a great dance show? You need to plan what you are going to first, then next, how you will trasition from one style of dance to another, and how to tie it all up at the end. You need choreography! Planning a class is a lot like planning a show. First, you need a concept and learning objectives, and then you fill in the content. When this is done you have the dancer, all those steps he can’t wait to break out, and the music; but you don’t yet have a plan. The biggest challenge is still ahead of you. How are you going to present the material? How are you going to make sure that your audience can follow along with what you are saying? How can you help them understand, remember, and remain engaged with the material? Just exactly how are you going to do to fill those 120 minutes with 60 eyes looking straight at you? What you need is some wine class choreography – in other words, you need some Instructional Design. Step by step, beat by beat, you need to decide in advance what will be done. Instructional Design is the process of taking your bundle of eager information and transforming it into a learning experience that helps your students make sense of, remember, and engage with the new information they will receive. There are a lot of concepts and theories about Instructional Design, and with the advent of online education the term takes on a whole new dimension. But, as is often true, the strongest theories stand the test of time. One of the best expressions of instructional design is Robert Gagné’s “Nine Steps of Instruction” that has been around since 1985. In this version of the “Nine Steps of Instructional Design,” I present my own ideas about instructional design, but all of this is firmly rooted in (and hopefully pays homage to) the “Nine Steps” of Gagné’s original work. Step 1 – Focus, Focus, Focus! In the words of Gagné, gain their attention! Present a problem or a new situation. Use an “interest device” that grabs the learner’s attention. The important point in wine education is to focus the learners. You can use such devices as storytelling, demo, present a problem to be solved, doing something the wrong way, asking a question, or taking an “audience poll.” The point is, do something to focus the class! Step 2 – What’s in it for me? Tell them how they will benefit from your class. In academic words, “inform the learner of the objective”. Keep their attention by telling them how they will benefit from what they are about to learn. Everyone likes to know “What’s in it for me?”It also gives your students a goal on which to focus for the rest of the class. Step 3. Where does this fit in to my life? It’s very important to put your topic in the context of your learner’s life. Find some common ground or prior knowledge relevant to the current lesson. This simple step provides a framework for learning and remembering the new information about to be received. Step 4. Tell me what I need to know! This seemingly simple step needs to be choreographed very carefully. It’s not just what you present but how you present it. Be sure to organize your information to avoid cognitive overload. Blend the information to aid in information recall. This is a huge subject and one that is often ignored by trainers and teachers. Step 5. How do I learn this? Provide guidance for learning.This is not the presentation of content, but is rather your guidance and instructions on how to learn the new material. 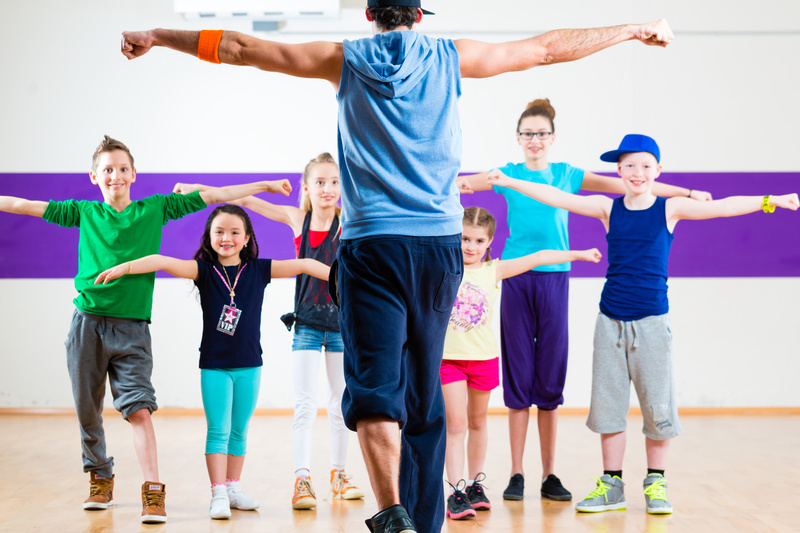 If this step is well done, your students will enjoy your class and learn more. 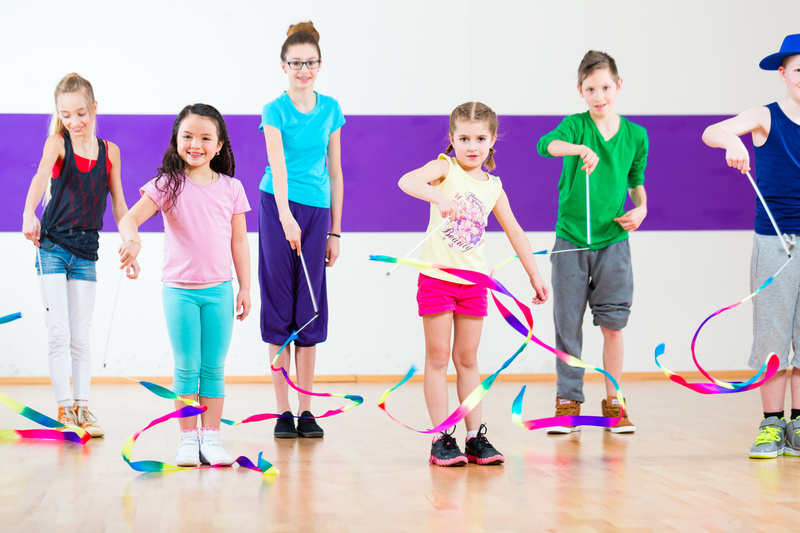 Students that are guided are less likely to lose time , become frustrated or just “tune out”. Step 8 – How did we do? Assess performance. Test to determine if the lesson has been learned. This can be a quiz, an activity, or a or class discussion. Step 9 – How can I use this? – The final steps in your class should be designed to enhance the retention and transfer of the new knowledge. Discuss how this new information can be used, provide opportuniites for additional practice, or review the lesson. Somehow, some way, your student’s life should be changed by their new knowledge. Even if it just means they are going to buy a better brand of Chardonnay. 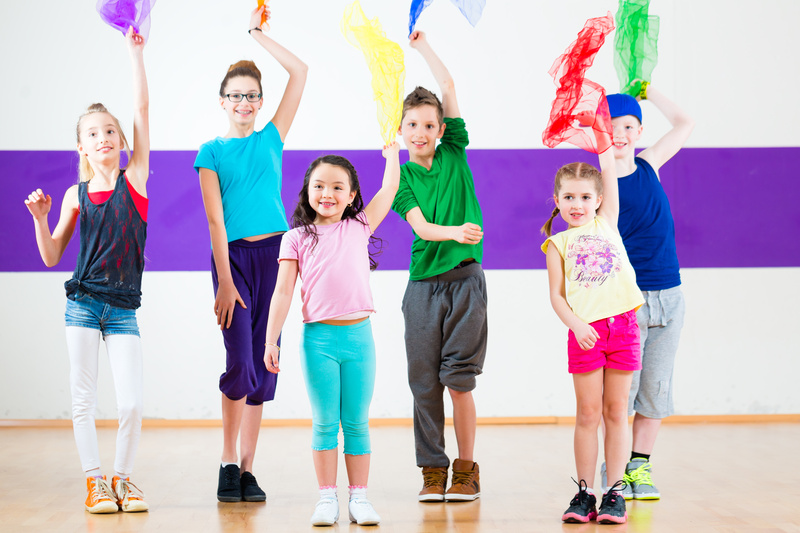 Every class does not have to include all nine steps, but keeping these steps in mind before you begin a class will go a long way to improving your teaching. Remember that good teaching goes way, way beyond the imparting of information. Unfocused teaching is more like an information dump. Don’t be a dumper—use instructional design! Gagné, Robert. The Conditions of Learning and the Theory of Instruction (4th ed.). New York: Holt, Rinehart, and Winston, 1985.